One of the talks that took place at GDS during this year’s Black History Month. We’re the co-founders and co-chairs of the GDS Black Asian Minority Ethnic (BAME) staff network. In this blog post, we want to share why we started GDSBAME last year, and where we are a year on. Until the launch of the network, there was no specific channel for the BAME community at GDS, or opportunity to promote awareness. With relatively few BAME role models at the senior levels of the organisation, it can be difficult for people to imagine themselves progressing within GDS. That’s why it’s really important to make everyone feel included by giving underrepresented groups like BAME employees a voice. It’s also important they have a forum to network and exchange ideas, solutions and experiences. This was the motivation for founding GDSBAME. The idea of setting up a network and platform for BAME colleagues came by chance through a conversation between the four of us at lunch. As a collective who actively identify with our Asian and Afro-Caribbean heritage, we saw an opportunity to raise the profile of cultural diversity. So, in true GDS style, we ran a workshop from the perspective of potential BAME network members. We invited colleagues from across GDS to hear their opinions and to learn what they would like to get out of such a network. The session helped us set our goals. It also shaped the network’s objectives as being a space for BAME colleagues to have a voice. An art gallery was set up in the office to celebrate Black History Month. We’re proud to announce that this year, GDS has been named as one of the Top 100 Employers for Race by Business in the Community. With the work that the network is planning, we hope to continue to build on this achievement. 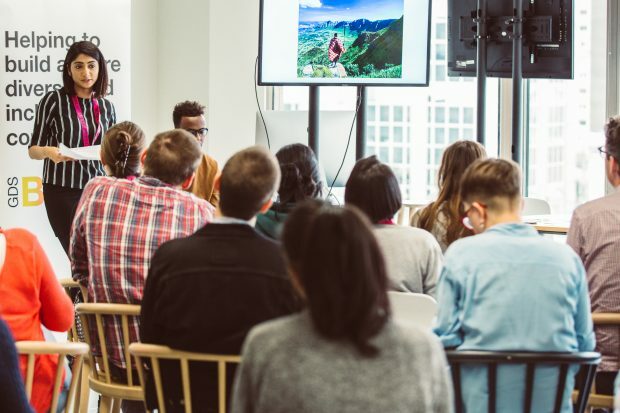 One of our highlights over the past year has been representing GDSBAME at this year’s UKGovcamp unconference, where we ran a session on why diversity matters. This gave us the opportunity to influence both organisational and cross-governmental change. We’ve also done a range of other things to influence and change culture throughout GDS. We’ve ensured that all recruitment panels at GDS have BAME representation. We’ve piloted BAME-specific unconscious bias and assertiveness training to colleagues, and we’re now looking at the next iteration of the training. 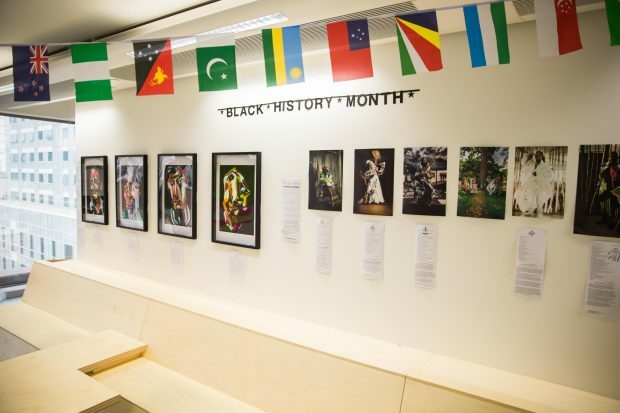 Black History Month was also celebrated in GDS for the first time in October. It was a successful month, with a series of activities and events. We’ve also been raising awareness of religious events, such as Eid, Ramadan and Diwali, through show and tells, documentaries and ‘lunch and learns’. We’ve hosted inspirational speakers as part of our speaker series this year. We’ve invited leaders from across the public and private sectors to speak to us about their careers. 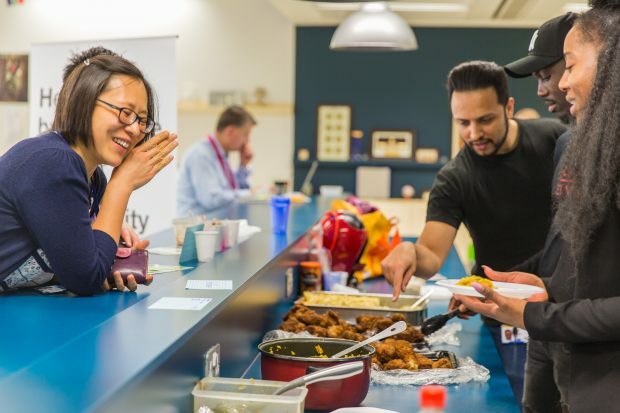 We’ve collaborated with other networks and groups across GDS, including the charity group, the mental health network and the women’s network, to deliver events. There’s still a lot to do, and organisational change does not happen overnight. But, with the right support and strategy in place, change is possible. For example, there are relatively few BAME role models at the senior levels of the organisation. Representation makes a big difference, and our strategic aims will really only be achieved when people start to see visible change and support at senior level. Our strategy will help us drive change in GDS, and ensure we give the right support to leaders and managers who are implementing it. Here’s what we’ve got planned for the year ahead. GDSBAME will host an advisory board with diversity experts from various high-profile organisations that are paving the way in creating inclusive environments in their workplaces and in their careers. We’ll be creating a pipeline of talent coming into GDS and ensuring a clear progression pathway for those who are brought on. We’ll be supporting them while they’re here with the right training and development opportunities. This will also double up as a development tool for our existing colleagues. A sponsorship scheme, which will be similar to a mentorship programme, will ensure our current employees are receiving the right support and talent awareness within the organisation. The network plays a vital role in helping to attract and retain diverse talent. Without a diverse workforce, we would not be representative of the users we build our services for. That is why we are calling all colleagues, whatever their background, to lend their support, and encourage the change we all wish to see. If you’d like to join us, there are a number of opportunities at GDS, and everyone is welcome to apply. You can follow GDS on Twitter, and don't forget to subscribe to our blog.